My name is Polly. I am mother to sweet Wren and Chickadee, and I am wife to my beloved Okey. I like to knit, read, and daydream about having time to knit or read. Like most devoted knitters, I rarely leave the house without a knitting project. As a result, I have taught several curious neighbors and friends from church how to loop yarn around a needle. 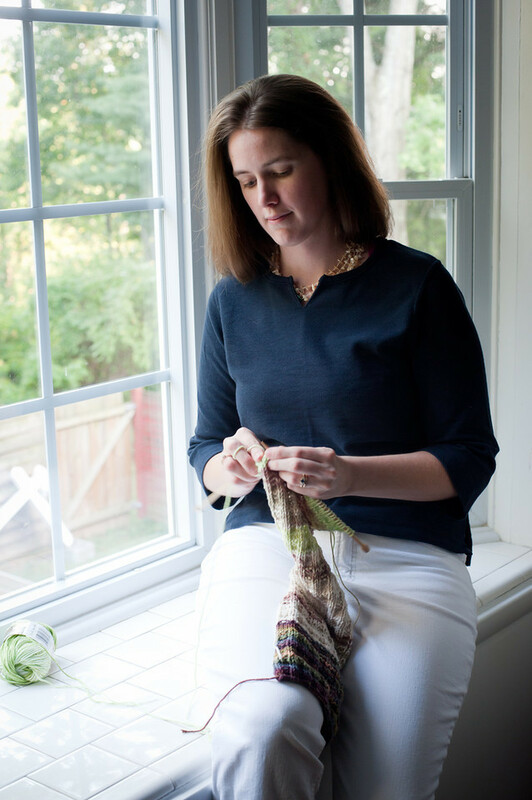 But since my daily interaction with fiber enthusiasts is still rather limited, I will share my various knitting pursuits (both the good and the bad) among like-minded knitters here at Knit Me for a Loop. You can find me and my projects on Ravelry as polwygle. More on my family can be found over at Polly’s Blog. Oh, thank you! Your home building journey looks so exciting. I wish you good luck with that!